I've had a couple of different blogs in the past, but never for more than a few months at a time. I've been lurking around the online knitting community long enough that I feel ready to jump in and become a more active participant. I taught myself to knit my sophomore year of college almost on a whim. I bought my first knitting book (The Chicks with Sticks Guide to Knitting) when I ordered my spring textbooks, knit two dishcloths, and then started on a pair of socks. I like to describe myself as a "knit first, ask questions later" kind of knitter. I'll try anything at least once, and I love learning new techniques. 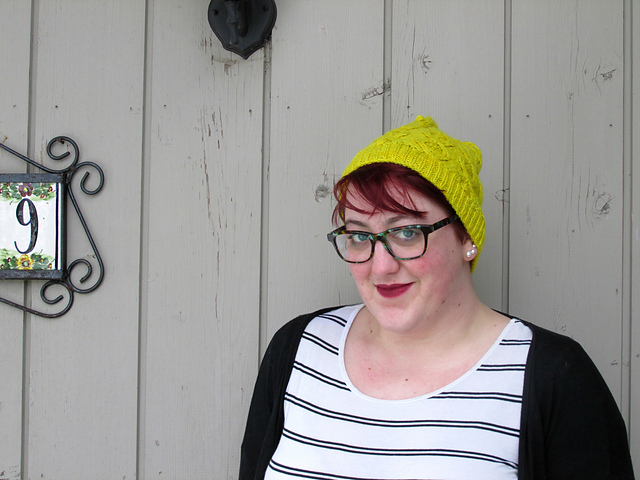 So this is me, putting myself out here, ready to meet new people and talk about knitting!